I'm a professor of management and Associate Dean of Research & Enterprise at Cass Business School. I was also Director of the Executive PhD program from 2013 to 2019. My primary research interests are in the areas of sustainability, climate change and corporate social responsibility. Other research interests include critical management studies, Indigenous ecology, resistance movements and postcolonial studies. I've published extensively in leading scholarly journals and am the author of two books: Corporate Social Responsibility: The Good, The Bad and The Ugly and the co-edited volume Organizations, Markets and Imperial Formations: Towards an Anthropology of Globalization. I serve on the editorial board of seven international journals and was a Senior Editor at Organization Studies from 2007 to 2019. I'm also a cofounder of ETHOS: The Centre for Responsible Enterprise at Cass Business School. I teach an undergraduate module on Climate Change and the World Economy, which offers critical and multidisciplinary perspectives on climate change focusing on issues like climate justice, policy and climate activism. I also lead an MBA international study tour of Cuba where we meet business leaders, government officials, students and academics to understand the challenges of an economy in transition, with particular references to environmental and social sustainability. I also conduct various seminars for PhD candidates. I'm currently supervising 5 PhD candidates. Bengali (can speak and understand spoken), English (can read, write, speak, understand spoken and peer review) and Hindi (can read, write, speak and understand spoken). This research project will advance knowledge about one of the most significant yet poorly understood problems facing the world today – global climate change. It will create greater understanding about how interactions between market, state and civil society actors shape climate change strategies. By conducting a comparative analysis of climate change strategy in Australia, Germany, the U.K. and the U.S. the research will provide a database of best practices in climate change strategy and policy. The project is significant because it will build knowledge on how business firms can develop new climate-specific capabilities. The findings can help policy makers, managers and interest groups develop more proactive climate change strategies. This research project examines the range of environmental and social responsibility strategies used by small and medium-sized enterprises (SMEs), the driving forces behind these strategies and the barriers to implementation. Using an innovative multi-stakeholder approach, the research will provide a framework for integrating social and environmental issues into SME business strategies. The findings of the study will help SMEs develop best practices in environmental and social responsibility as well as enable policy makers to design more effective incentives for SMEs to improve their environmental and social performance. Social and Cultural Factors in Indigenous Enterprise Management and Governance. The project addresses Indigenous economic self-sufficiency by developing a model of Indigenous enterprise development and governance. By focusing on sustainability of Indigenous communities in remote areas, the project contributes to National Research Priority 3 (Promoting and maintaining good health: Strengthening Australia's social and economic fabric). The project addresses the National framework of principles for delivering services to Indigenous Australians developed by the Council of Australian Governments by seeking new ways to promote economic participation and development, supporting capacity at local and regional levels and building opportunities for indigenous families and individuals to become self-sufficient. New questions are emerging in the management literature regarding the role of local settings and communities and how these can benefit from new organizational interventions and models that aim to address grand challenges such as lack of education, health issues, poverty, energy alternatives, achieving sustainable development, among other. Moreover, there are still variations in the literature in terms of what is considered successful engagement or outcome. Banerjee, S.B. (2018). Transnational power and translocal governance: The politics of corporate responsibility. Human Relations, 71(6), pp. 796–821. doi:10.1177/0018726717726586 . Banerjee, S.B., Chio, V.C.M. and Mir, R. (2009). Organizations, markets and imperial formations: Towards an anthropology of globalization. ISBN 978-1-84844-317-4. Banerjee, S. (2009). Organization, Markets and Imperial Formations: Towards an Anthropology of Globalization. Banerjee, , Chio, V. and Mir, R. (Eds. ), Cheltenham: Edward Elgar. ISBN 978-1-84844-317-4. Banerjee, S. (2007). Corporate Social Responsibility: The Good, the Bad and the Ugly. Sheffield: Edward Elgar. ISBN 978-1-84542-976-8. Spicer, A. and Banerjee, B. (2016). Governance: Changing conceptions of the corporation. The Routledge Companion to Philosophy in Organization Studies (pp. 403–411). ISBN 978-0-415-70286-7. Banerjee, S.B. (2012). The ethics of corporate social responsibility. Management Ethics: Contemporary Contexts (pp. 55–76). ISBN 978-0-203-60705-3. Banerjee, S.B. (2012). Critical Perspectives on Business and the Natural Environment. The Oxford Handbook of Business and the Natural Environment (pp. 572–590). Oxford University Press. ISBN 978-0-19-958445-1. Banerjee, S.B. (2011). Critical Perspectives on Business and the Natural Environment. Oxford University Press. Banerjee, S. (2011). Globalization. In Tadajewski, M., Maclaran, P., Parsons, L. and Parker, M. (Eds. ), Key Concepts in Critical Management Studies London: Sage. Banerjee, B., Busch, T., Cooper, T., Mazutis, D. and Stomp, J. (2010). MNCs' social, ethical and legal responsibilities (corporate social responsibility). Research Companion to Green International Management Studies: A Guide for Future Research, Collaboration and Review Writing (pp. 47–84). ISBN 978-1-84980-363-2. Banerjee, S., Kashyap, R. and Iyewr, E. (2009). The relationship between corporate and individual environmental responsibility. In Saito, F. (Ed. ), Consumer Behavior New York: Nova Science Publishers Inc. ISBN 978-1-60692-394-8. Banerjee, S., Clegg, S. and Carter, C. (2009). Managing globalization. In Alvesson, M. and Willmott, H. (Eds. ), Handbook of Critical Management Studies Oxford: Oxford University Press. Banerjee, S.B., Chio, V.C.M. and Mir, R. (2009). The imperial formations of globalization. Organizations, Markets and Imperial Formations: Towards an Anthropology of Globalization (pp. 3–14). ISBN 978-1-84844-317-4. Chio, V.C.M. and Banerjee, S.B. (2009). Towards an anthropology of globalization. Organizations, Markets and Imperial Formations: Towards an Anthropology of Globalization (pp. 219–231). ISBN 978-1-84844-317-4. Mir, R., Banerjee, S.B. and Mir, A. (2009). How does knowledge flow? A critical analysis of intraorganizational knowledge transfer. Organizations, Markets and Imperial Formations: Towards an Anthropology of Globalization (pp. 98–131). ISBN 978-1-84844-317-4. Banerjee, S.B. (2008). The political economy of corporate social responsibility. Handbook of Research on Global Corporate Citizenship (pp. 454–475). ISBN 978-1-84542-836-5. Banerjee, S. (2007). Corporate citizenship: A critical perspective. In Clegg, S. and Bailey, J.R. (Eds. ), International Encyclopedia of Organization Studies Sage. ISBN 978-1-4129-1515-1. Banerjee, S.B. (2006). Corporate citizenship, social responsibility and sustainability: Corporate colonialism for the new millennium? The Challenge of Organising and Implementing Corporate Social Responsibility (pp. 31–50). ISBN 978-1-4039-4238-8. Banerjee, S. and Osuri, G. (2005). Making global subjects: Diasporic identity as a media event. In Lindstead, S. and Lindstead, A. (Eds. ), Interrupting Identities New York: Routledge. Osuri, G. and Banerjee, B. (2005). Making global subjects: Diasporic identity as a media event. Organization and Identity (pp. 223–241). ISBN 978-0-203-30008-4. Banerjee, S. (2004). Teaching sustainability: A critical perspective. In Galea, C. (Ed. ), Teaching Business Sustainability Sheffield: Greenleaf Publishing. ISBN 978-1-874719-54-0. Banerjee, S. (2004). Managing sustainability. In Linstead, S., Fulop, L. and Lilley, S. (Eds. ), Management and Organization - A Critical Text. London: Palgrave. Banerjee, S., Browne, M., Fulop, L. and Lindstead, S. (2004). Managing strategically. In Lindstead, S., Fulop, L. and Lilley, S. (Eds. ), Management and Organization - A Critical Text. London: Palgrave. Banerjee, S. and Osuri, G. (2003). Organizing multiple spacetimes in a colonial context: Indigeneity and white Australian nationalism at the Melbourne Museum. In Lindstead, S. (Ed. ), Text/Work: Representing Organization and Organizing Representation London: Routledge. Banerjee, S. (2003). The practice of stakeholder colonialism: National interest and colonial discourses in the management of indigenous stakeholders. In Prasad, A. (Ed. ), Postcolonial Theory and Organizational Analysis New York: Palgrave. Banerjee, S. (2000). Corporate environmentalism and environmental management: A review. In Dahiya, S.B. (Ed. ), The Current State of Business Disciplines: Management (pp. 1789–1808). India: Spellbound Publications. Banerjee, S. (2000). Environment regulations and standards: Implications for trade in Vietnam. In Tran Van Hoa, J. (Ed. ), Prospects in Trade, Investment and Business in Vietnam and East Asia (pp. 182–199). London: Macmillan. Banerjee, S. (1999). Corporate environmentalism and the greening of strategic marketing: Implications for marketing theory and practice. In Charter, M. and Polonsky, M.J. (Eds. ), Greener Marketing: A Global Perspective to Greening Marketing Practice (pp. 16–40). Sheffield: Greenleaf Publishing. ISBN 978-1-874719-14-4. Browne, M., Banerjee, S., Fulop, L. and Lindstead, S. (1999). Managing strategically. In Fulop, L. and Lindstead, S. (Eds. ), Management - A Critical Text. (pp. 364–413). London: Macmillan. Banerjee, S. (1998). Globalization, economic development and ecology: A critical examination. In Rao, C.P. (Ed. ), Globalization, Privatization and the Free Market Economy. (pp. 47–62). Westport: Quorum Books. Participatory Action Research. In SAGE Publications, Inc.. ISBN 978-1-4129-5670-3. Alamgir, F. and Banerjee, S.B. (2019). Contested compliance regimes in global production networks: Insights from the Bangladesh garment industry. Human Relations, 72(2), pp. 272–297. doi:10.1177/0018726718760150 . Banerjee, S.B. (2018). Markets and violence. Journal of Marketing Management, 34(11-12), pp. 1023–1031. doi:10.1080/0267257X.2018.1468611 . Slawinski, N., Pinkse, J., Busch, T. and Banerjee, S.B. (2017). The Role of Short-Termism and Uncertainty Avoidance in Organizational Inaction on Climate Change: A Multi-Level Framework. Business and Society, 56(2), pp. 253–282. doi:10.1177/0007650315576136 . Banerjee, S.B. and Jackson, L. (2017). Microfinance and the business of poverty reduction: Critical perspectives from rural Bangladesh. Human Relations, 70(1), pp. 63–91. doi:10.1177/0018726716640865 . Fleming, P. and Banerjee, S.B. (2016). When performativity fails: Implications for Critical Management Studies. Human Relations, 69(2), pp. 257–276. doi:10.1177/0018726715599241 . Banerjee, S.B. (2014). A critical perspective on corporate social responsibility: Towards a global governance framework. Critical Perspectives on International Business, 10(1), pp. 84–95. doi:10.1108/cpoib-06-2013-0021 . Banerjee, S. and Morley, C. (2013). Professional doctorates in management: Toward a practice-based approach to doctoral education. Academy of Management Learning and Education, 12(2), pp. 173–193. doi:10.5465/amle.2012.0159 . Kraemer, R., Whiteman, G. and Banerjee, B. (2013). Conflict and Astroturfing in Niyamgiri: The Importance of National Advocacy Networks in Anti-Corporate Social Movements. Organization Studies, 34(5-6), pp. 823–852. doi:10.1177/0170840613479240 . Banerjee, S.B. (2012). A Climate for Change? Critical Reflections on the Durban United Nations Climate Change Conference. Organization Studies, 33(12), pp. 1761–1786. doi:10.1177/0170840612464609 . Wittneben, B.B.F., Okereke, C., Banerjee, S.B. and Levy, D.L. (2012). Climate Change and the Emergence of New Organizational Landscapes. Organization Studies, 33(11), pp. 1431–1450. doi:10.1177/0170840612464612 . Banerjee, S.B. (2011). Embedding sustainability across the organization: A critical perspective. Academy of Management Learning and Education, 10(4), pp. 719–731. doi:10.5465/amle.2010.0005 . Banerjee, S.B. (2011). Voices of the governed: Towards a theory of the translocal. Organization, 18(3), pp. 323–344. doi:10.1177/1350508411398729 . Banerjee, S.B. and Bonnefous, A.M. (2011). Stakeholder management and sustainability strategies in the French nuclear industry. Business Strategy and the Environment, 20(2), pp. 124–140. doi:10.1002/bse.681 . Wittneben, B., Okereke, C., Banerjee, B. and Levy, D. (2010). Special issue on climate change and the emergence of new organizational landscapes. Organization Studies, 31(5), pp. 629–631. doi:10.1177/0170840610374920 . Banerjee, S. and Tedmanson, D. (2010). Grass burning under our feet: Indigenous enterprise development in a political economy of whiteness. Management Learning, 41(2), pp. 147–165. doi:10.1177/1350507609357391 . Banerjee, S.B. (2010). Governing the global corporation: A critical perspective. Business Ethics Quarterly, 20(2), pp. 265–274. doi:10.5840/beq201020219 . Wittneben, B., Okereke, C., Banerjee, B. and Levy, D. (2010). Organization Studies: Special Issue on Climate Change and the Emergence of New Organizational Landscapes. Organization Studies, 31(4), pp. 505–507. doi:10.1177/0170840610373854 . Wittneben, B., Okereke, C., Banerjee, B. and Levy, D. (2009). Climate change and the emergence of new organizational landscapes. Organization Studies, 30(9), pp. 1013–1015. doi:10.1177/0170840609344025 . Wittneben, B., Okereke, C., Banerjee, B. and Levy, D. (2009). Climate change and the emergence of new organizational landscapes. Organization Studies, 30(8), pp. 917–919. doi:10.1177/0170840609344026 . Wittneben, B., Okereke, C., Banerjee, B. and Levy, D. (2009). Organization studies: Climate change and the emergence of new organizational landscapes. Organization Studies, 30(7), pp. 813–815. doi:10.1177/0170840609106746 . Banerjee, S.B. (2008). Necrocapitalism. Organization Studies, 29(12), pp. 1541–1563. doi:10.1177/0170840607096386 . Mir, R., Banerjee, S.B. and Mir, A. (2008). Hegemony and its discontents: A critical analysis of organizational knowledge transfer. Critical Perspectives on International Business, 4(2-3), pp. 203–227. doi:10.1108/17422040810869990 . Bobby Banerjee, S. and Prasad, A. (2008). Introduction to the special issue on “Critical reflections on management and organizations: A postcolonial perspective”. Critical perspectives on international business, 4(2-3), pp. 90–98. doi:10.1108/17422040810869963 . Banerjee, S.B. (2008). Corporate social responsibility: The good, the bad and the ugly. Critical Sociology, 34(1), pp. 51–79. doi:10.1177/0896920507084623 . Banerjee, S.B. and Linstead, S. (2006). Make that sixty-seven. Human Relations, 59(3), pp. 429–442. doi:10.1177/0018726706064183 . Banerjee, S. (2006). Live and let die: Colonial sovereignties and the deathworlds of necrocapitalism. Borderlands, 5(1). Osuri, G. and Banerjee, B. (2004). White diasporas: media representations of September 11 and the unbearable whiteness of being in Australia. Social Semiotics, 14(2), pp. 151–171. doi:10.1080/1035033042000238277 . Greene, S. (2004). Indigenous People Incorporated? Current Anthropology, 45(2), pp. 211–237. doi:10.1086/381047 . Banerjee, S.B. and Linstead, S. (2004). Masking subversion: Neocolonial embeddedness in anthropological accounts of indigenous management. Human Relations, 57(2), pp. 221–247. doi:10.1177/0018726704042928 . Banerjee, S. (2004). Re-inventing colonialism: Exploring the myth of sustainable development. Situation Analysis, 4, pp. 95–110. Banerjee, S.B., Iyer, E.S. and Kashyap, R.K. (2003). Corporate Environmentalism: Antecedents and Influence of Industry Type. Journal of Marketing, 67(2), pp. 106–122. doi:10.1509/jmkg.67.2.106.18604 . Banerjee, S.B. (2003). Who sustains whose development? Sustainable development and the reinvention of nature. Organization Studies, 24(1), pp. 143–180. doi:10.1177/0170840603024001341 . Banerjee, S.B. (2002). Corporate environmentalism: The construct and its measurement. Journal of Business Research, 55(3), pp. 177–191. doi:10.1016/S0148-2963(00)00135-1 . Banerjee, S. (2002). Organizational strategies for sustainable development: Developing a research agenda for the new millennium. Australian Journal of Management, 27(1 Supplement), pp. 105–117. Banerjee, S.B. (2001). Managerial perceptions of corporate environmentalism: Interpretations from industry and strategic implications for organizations. Journal of Management Studies, 38(4), pp. 488–513. Banerjee, S. (2001). Corporate citizenship and indigenous stakeholders: Exploring a new dynamic of organizational stakeholder relationships. Journal of Corporate Citizenship, 1(1), pp. 39–55. doi:10.9774/GLEAF.4700.2001.sp.00007 . 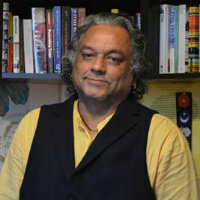 Bobby Banerjee, S. (2001). Corporate environmental strategies and actions. Management Decision, 39(1), pp. 36–44. doi:10.1108/EUM0000000005405 . Banerjee, S.B. and Linstead, S. (2001). Globalization, Multiculturalism and Other Fictions: Colonialism for the New Millennium? Organization, 8(4), pp. 683–722. doi:10.1177/135050840184006 . Banerjee, S.B. (2001). Managerial Environmental Attitudes and Corporate Environmentalism: A Preliminary Investigation. The Journal of Environmental Education, 32(4), pp. 49–50. doi:10.1080/00958960109598663 . Banerjee, S. and Bloch, P. (2001). An involvement perspective on environmentally conscious consumption. Journal of the Australian New Zealand Academy of Management, 7(2), pp. 1–19. Banerjee, S.B. and Osuri, G. (2000). Silences of the media: Whiting out Aboriginality in making news and making history. Media, Culture and Society, 22(3), pp. 263–284. doi:10.1177/016344300022003002 . Banerjee, S.B. (2000). Whose land is it anyway? National interest, indigenous stakeholders, and colonial discourses: The case of the Jabiluka uranium mine. Organization and Environment, 13(1), pp. 3–38. doi:10.1177/1086026600131001 . Banerjee, S.B. (1998). Corporate environmentalism: Perspectives from organizational learning. Management Learning, 29(2), pp. 147–164. doi:10.1177/1350507698292002 . Banerjee, S., Gulas, C.S. and Iyer, E. (1995). Shades of green: A multidimensional analysis of environmental advertising. Journal of Advertising, 24(2), pp. 21–31. doi:10.1080/00913367.1995.10673473 . Banerjee, S. and Iyer, E. Anatomy of green advertising. Advances in Consumer Research, 20, pp. 494–501. Organization Studies, Senior Editor, 2009 – present. Organization, Member of Editorial Board, 2008 – present. Critical Perspectives on International Business, Member of Editorial Board, 2007 – present. Culture & Organization, Member of Editorial Board, 2004 – present. The mismatch between indigenous communities and mining wealth. (2013) The Guardian (newspaper). Executive PhDs: Call me a doctor. (2013) The Economist (magazine). Cass opens new campus in the City of London. (2013) MBA24. Jeff Randall Show. (2013) Sky News (television).